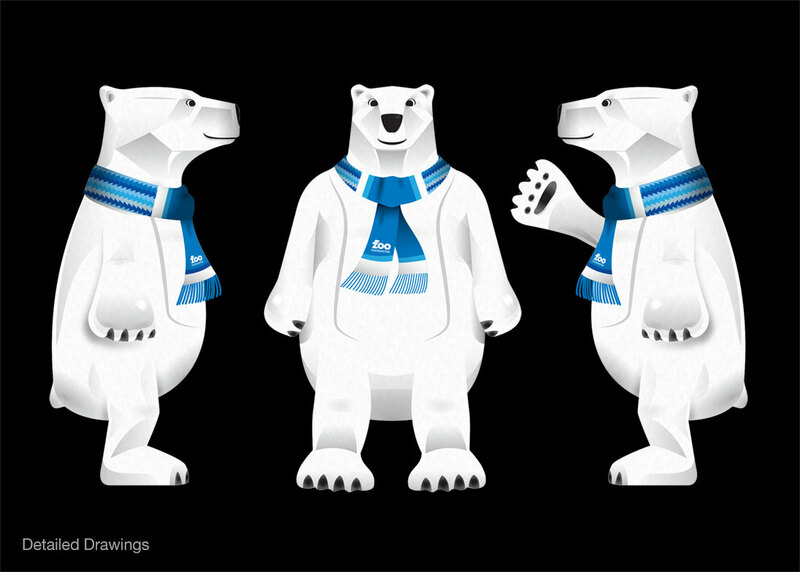 While we are lucky to be able to see our ideas come to life online, on billboards and in print, it’s really something to see a concept move from sketch to moving around… and giving bear hugs wherever he goes. 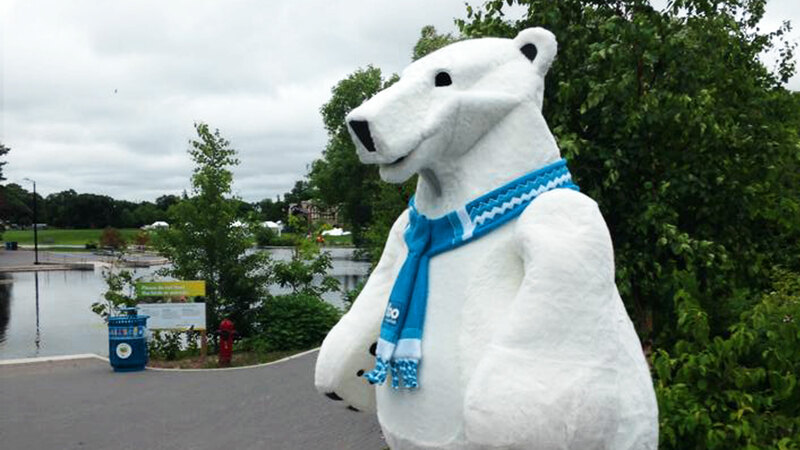 The Assiniboine Park and Zoo wanted a mascot to help highlight the Zoo’s signature exhibit, Journey to Churchill, a four-hectare habitat for northern wildlife, including polar bears, muskoxen, snowy owls, wolves and arctic fox. 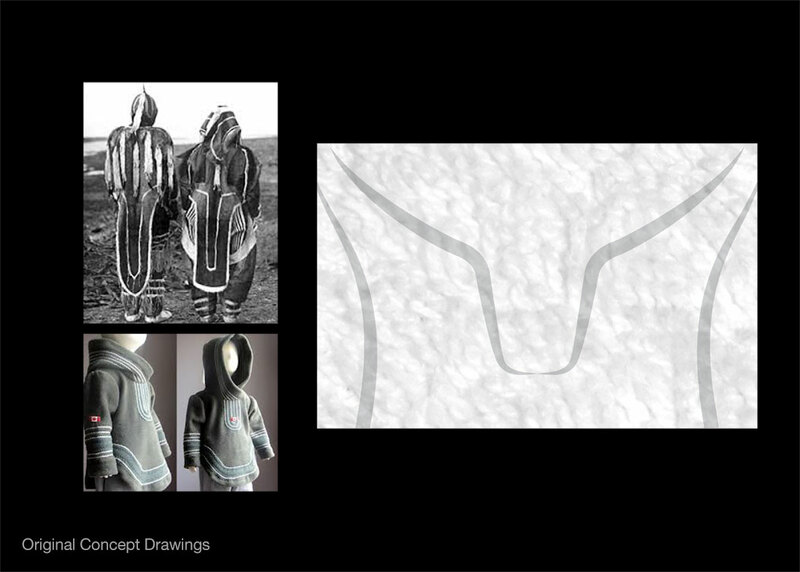 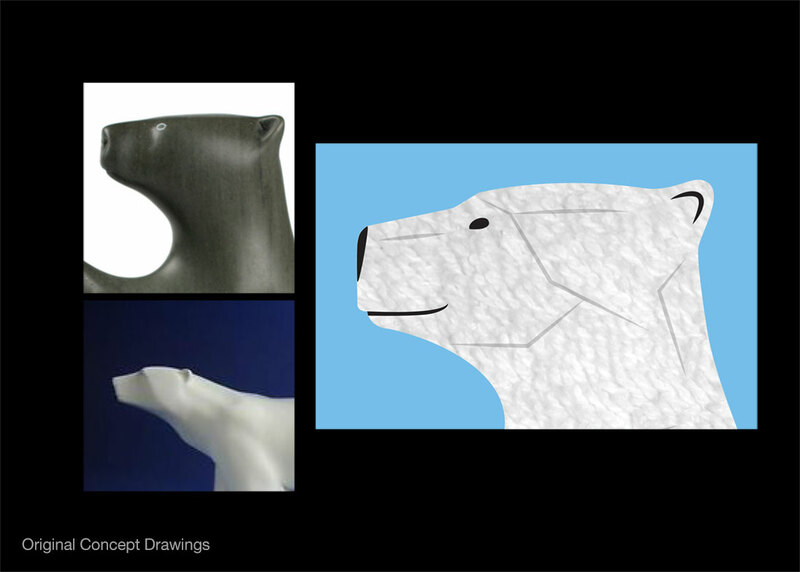 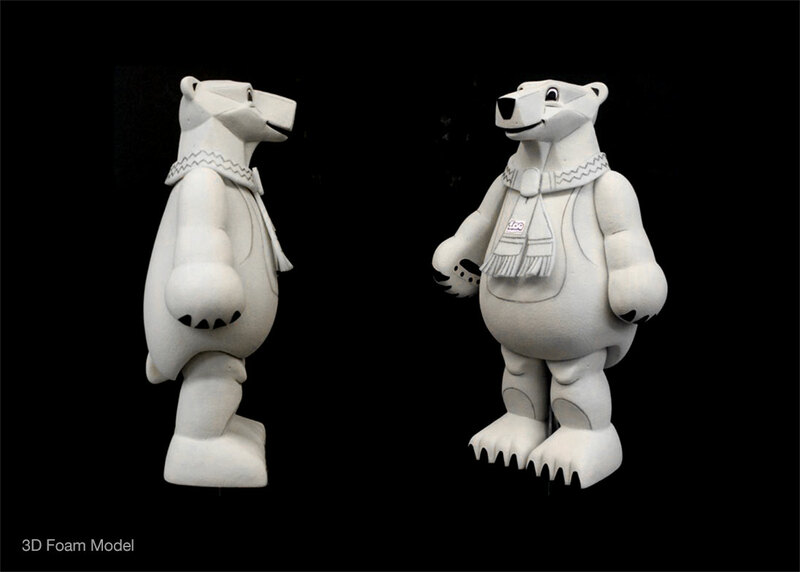 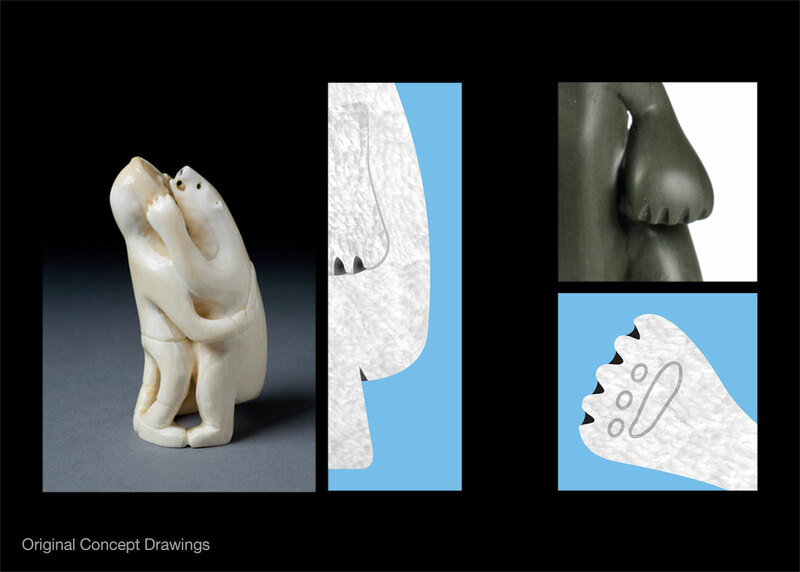 The inspiration for Winston came from Inuit art, including Inuit polar bear sculptures, especially as designing a mascot also requires a three-dimensional view. 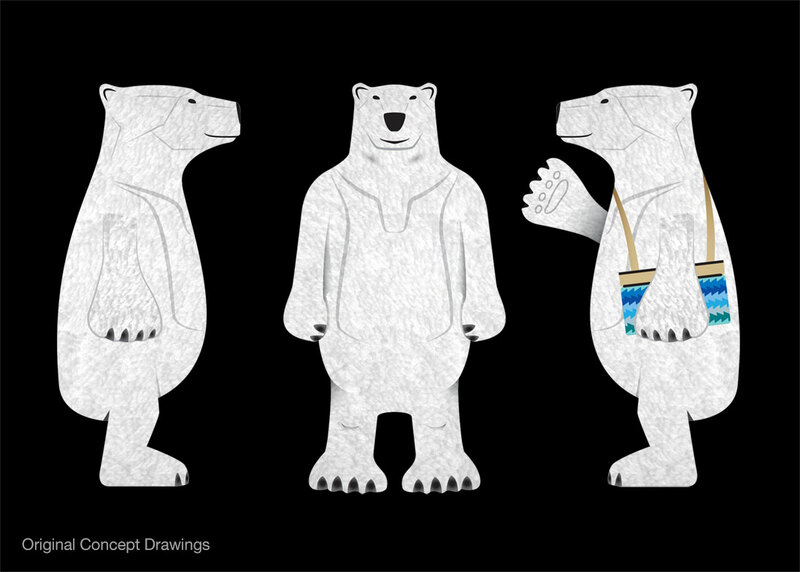 Winston’s scarf also features a traditional Inuit pattern. 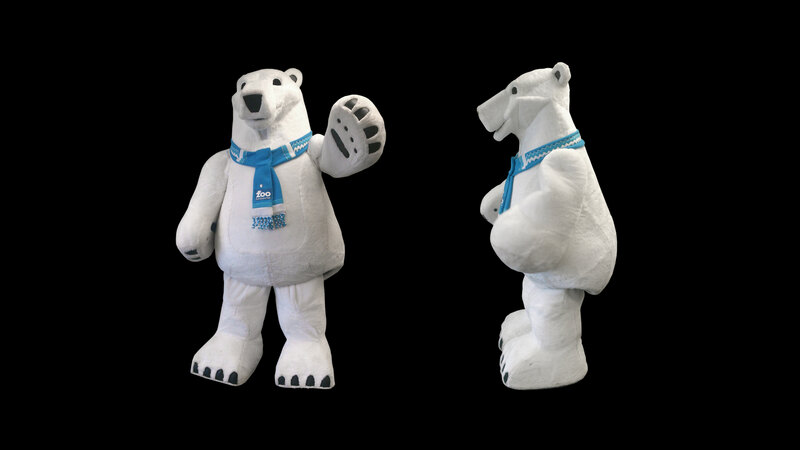 You can also find Winston in his two-dimensional form in illustrations promoting events including the Zoo’s popular day camps and Zoo Explorer program. 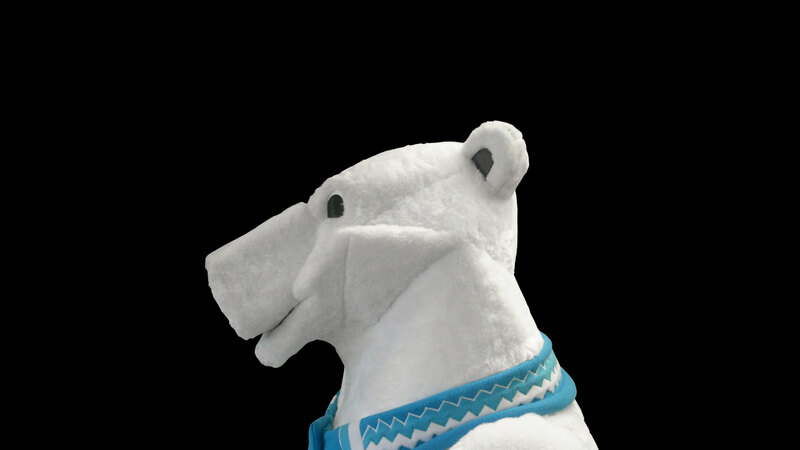 Winston’s name is a comfortable fit with the name of both the Manitoba town and exhibit. 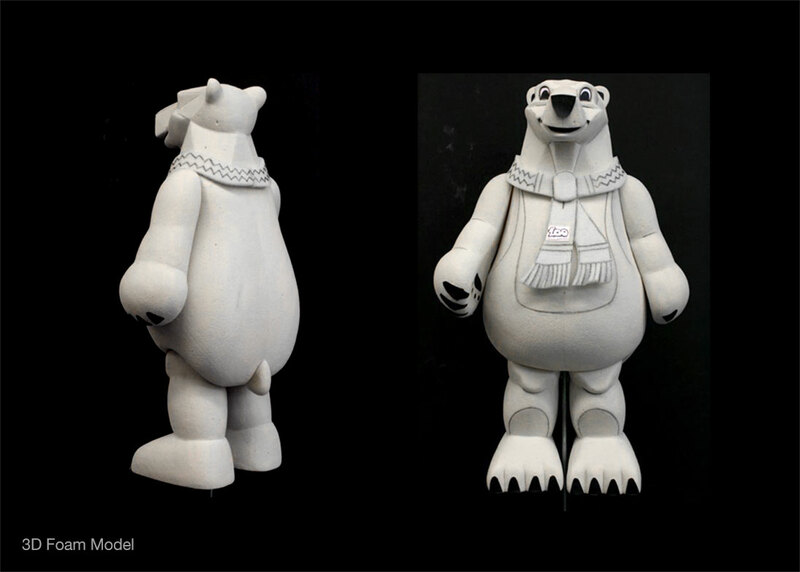 Churchill is named after John Churchill, the 3rd governor of the Hudson’s Bay Company and the Duke of Marlborough. 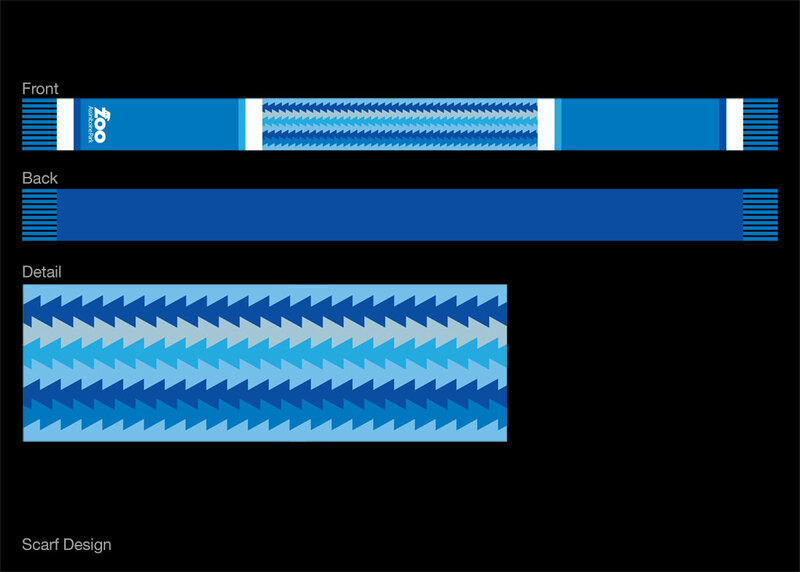 Interestingly, Winston Churchill, the Prime Minister of the United Kingdom during the Second World War, was a direct descendent of John Churchill.